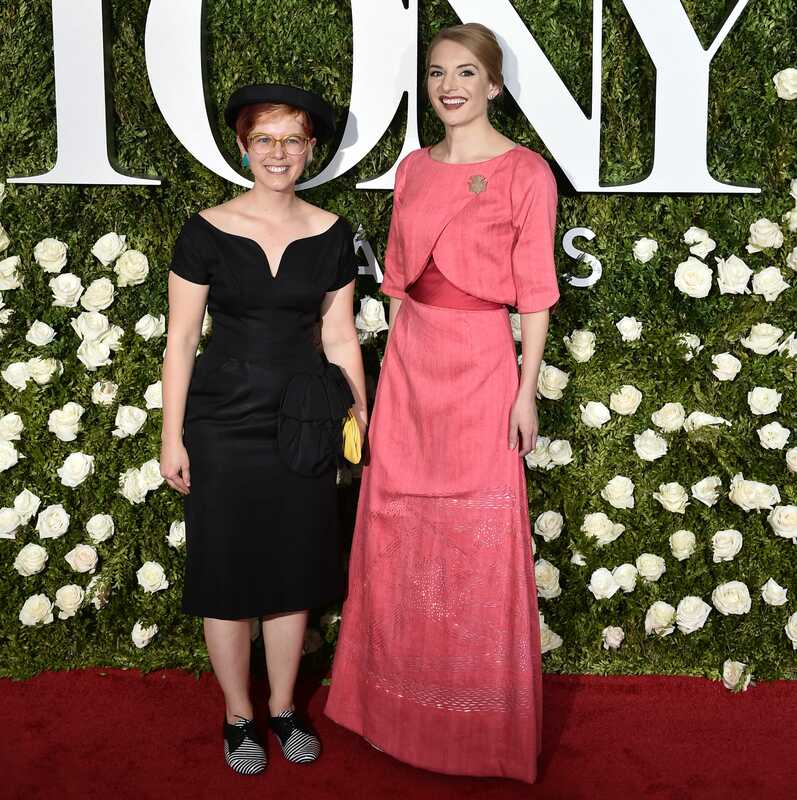 CMU alumna Sophie Hood (left) created a Carnegie Mellon-inspired ensemble for the Tony Awards red carpet worn by fellow alumna Brit McCandless. Carnegie Mellon University added some high-tech light to the bright lights of Broadway during the 71st Annual Tony Awards on Sunday, June 11. The university, known as one of the top theater arts conservatories in the world, showed an additional dimension when a "wearable tech" dress made its debut on the red carpet at Radio City Music Hall. The top and skirt ensemble, designed and created by CMU alumna Sophie Hood, includes strategically placed LED lights and laser-cut graphics to represent the number of students at CMU and the way students blend various fields in different colleges and schools in their educational experience. The lights respond to the wearer's heartbeat and are controlled by a thistle-shaped broach that represents CMU's Scottish heritage. Carnegie Mellon alumna Brit McCandless, a 2008 graduate of the Dietrich College and a digital producer at CBS' "60 Minutes," will wear the dress. Red carpet watchers will see the jewel-toned creation inspired by a 1960s silhouette featuring an "elegant, simple shape with a modern fling to it," Hood said. Hood, earned her master's degree in fine arts in costume production from CMU's School of Drama in 2014. Hood's fascination with wearable technology has led her to dabble in clothing that offers something a little beyond the norm. In 2016 she created a voice-activated "brain dress" that was worn by Dietrich College faculty member Marlene Behrmann for her induction into the National Academy of Sciences. 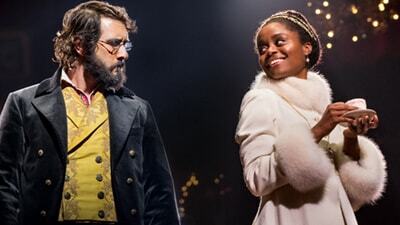 CMU alumni have won 44 Tony Awards, the majority of those are for acting roles. Of the total, with 21 awards were presented to alumni who work in various behind-the-scenes areas, including costuming, lighting and design. Hood developed an interest in sewing at an early age. 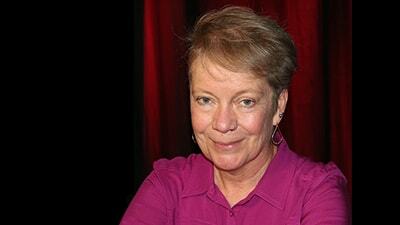 Inspired by her seamstress grandmother, she would sew stuffed animals with her mentor. Years later, while at Dartmouth College majoring in Japanese and studio art, she took a costume design class and found her calling. "I didn't realize you could make a career out of costuming," she said. 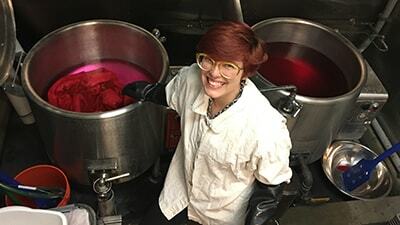 "But I found that this is what I love — it's telling a story; it's technique; it's making garments that go on a person and interact with everything. It's my job to look at a designer's image and interpret it in 3-D."
"As an alumna, I'm proud of all that Carnegie Mellon stands for," said McCandless, who earned her bachelor's degree in professional writing, creative writing and international relations. "We are humanities, the arts, computers, robotics, engineering, and the sciences. What made such an impact on me during my time there is how we are all interconnected. That's what we're showing through this dress." Both women are excited to see the creation come to life. Hood said it was an honor to be part of the process and described it as an experience she just could not pass up. "I'm very excited about the dress," McCandless said. "It represents Carnegie Mellon's expertise in the arts and technology, and wearing this dress will be a fun and educational way to demonstrate that."